The Dodge Journey is a perfect vehicle for those living in northeastern Oklahoma. 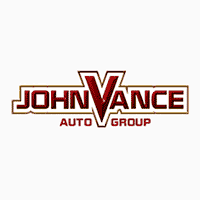 Whether you’re looking for a new or used Journey, we can help you find the perfect one at Vance Chrysler Dodge Ram in Miami, OK. Did you realize Vance Auto Group has been faithfully serving Oklahomans for over 30 years? In fact, we have nine full service dealerships which means we always have a large inventory of preowned vehicles to choose from. Whether you are searching for a used or a new Journey, come see us at Vance Chrysler Dodge Jeep Ram in Miami where we treat our customers like neighbors. Find all you need in the Dodge Journey crossover that features a powerful engine that goes over 500 highway miles per tank. Choose from the 2.4L 16-valve four-cylinder engine or the award winning 3.6L Pentastar v6 engine which can haul up to 2500 pounds. Whether you are hauling a boat or a trailer, the Anti-Sway Control keeps it under control. The interior of the Journey offers a pleasurable ride with front seats fit for a king with available six-way power driver seat and four-way power lumbar adjustment. For the kids, the second-row offers available integrated child booster seats which can be conveniently folded away when not needed. The third row seats can be accessed from either side by simply sliding the second-row back and forth. Both second- and third-row passengers enjoy stadium-style seating. Stay informed during any road trip with the available Uconnect 3 NAV featuring an 8.4-inch touchscreen which includes SiriusXM® Traffic and Travel Link, both with a five-year trial that provides real-time traffic updates and live weather updates, movie show times, sports scores, gas station locations and pricing. Ask about all the other tech features. The Dodge Journey keeps you, your precious passengers and cargo safe with air bags all around, Advanced Braking Systems, and Electronic Stability Control and Roll Mitigation. Drive to Miami, OK to experience the Dodge Journey up close and personal. You will discover for yourself how we keep such high customer satisfaction ratings. We are committed to helping our neighbors find the right vehicle.